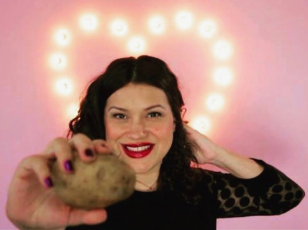 Disclosure: This post is sponsored by Society Culinaria on behalf of Cacique. All opinions and the recipe are my own. 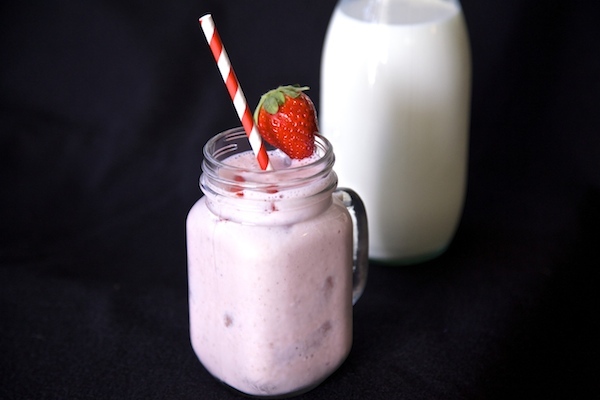 This is part of a sponsored collaboration with MilkPEP and Latina Mom Bloggers. However, all opinions expressed are my own. It’s that time of year where every germ known to man wants to be your friend. Awww I dread the stuffy nose, and pounding headache of a cold or flu. There is nothing worse then a cold that makes it hard to breathe or sleep. As much as we have zero desire to engage in these unkind happenings…. most of us are destined to experience it anyway. Instead of avoiding the situation, I just go right ahead and face the music… even if it is to the beat of a running nose. I’d rather be safe than sorry, so I stock up before the uncomfortable illness hits. Walmart has all the cold and flu supplies I need. 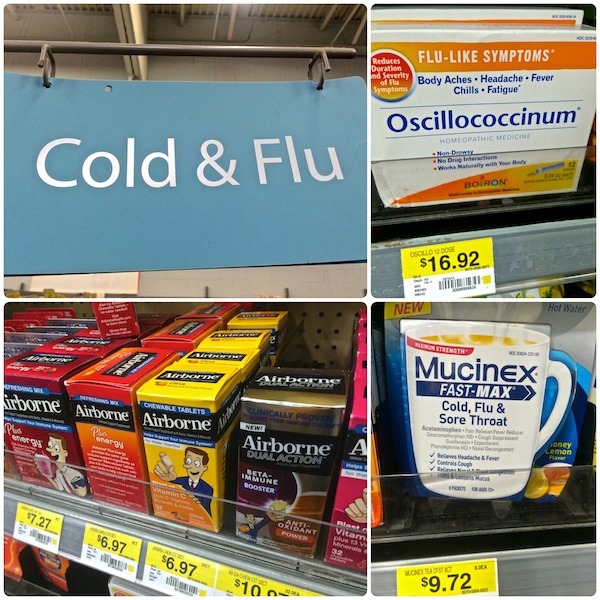 I run up one aisle and grab kleenex, then look for the sign that says “cold and flu” and see what I think is the best remedy for me and my family. I like to have Airborne on hand in the event someone comes into the house that might be sick. Just plop it in water and this gets my defense up and helps keep the adults in the house healthy. I give my son Oscillococcinum, a homeopathic medicine the second I hear him sneeze or complain of not feeling well. If used at the first sign of a flu, it will help reduce the symptoms. 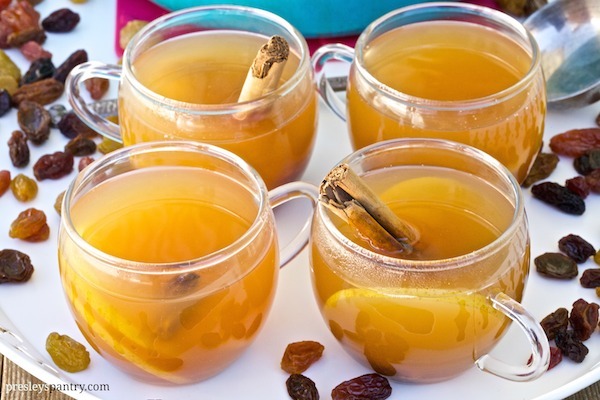 I also like the Mucinex that you can drink like a hot tea, it has seriously helped me in the past, and hopefully will work wonders again now that I need it, as I am officially sick as of today. Last but not least I head to the grocery section and get a packet of chicken, dried chiles, garlic, onion, limes, and anything else I think will smash the cold right out of me. 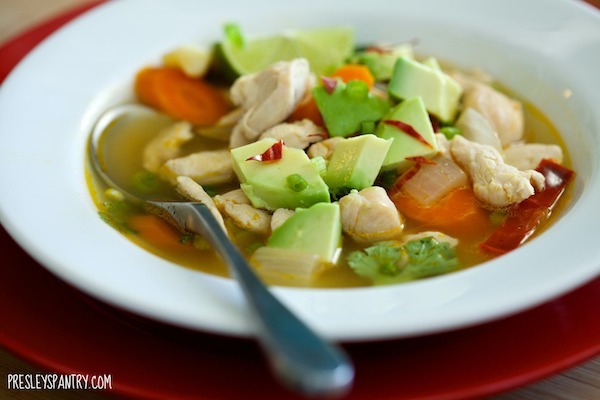 Here is a simple get well Mexican soup that is made really quickly, and yet so tasty. Drink lots of water and try and get well soon. 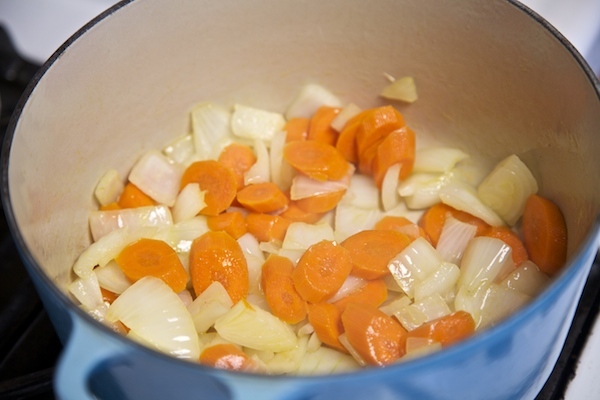 Add olive oil to a pot or dutch oven. Place over a medium flame. 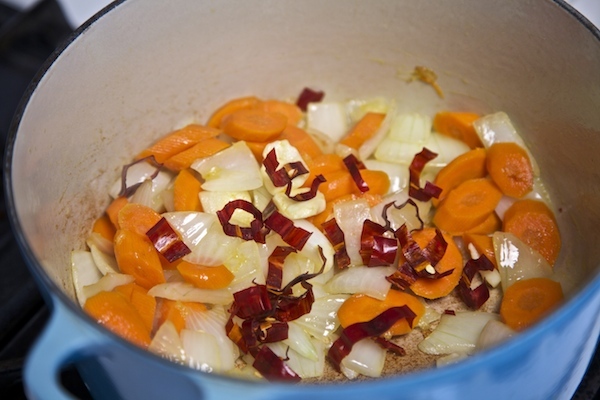 Add in carrots and onion and sauté for 10 minutes. Add in garlic and chipotle pepper slices. Cook for an additional 5 minutes. Once chicken broth is boiling add in chicken breasts slices. 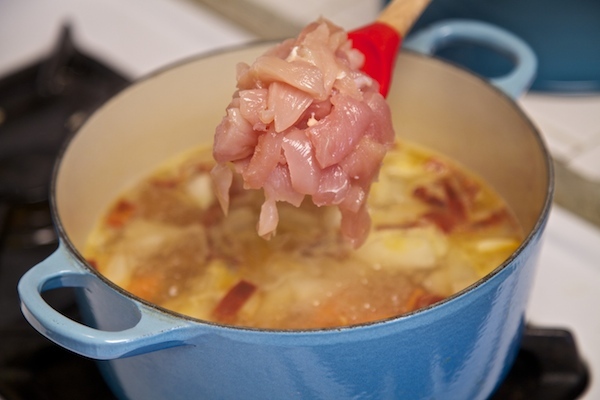 Cook chicken in broth for 6 to 7 minutes. 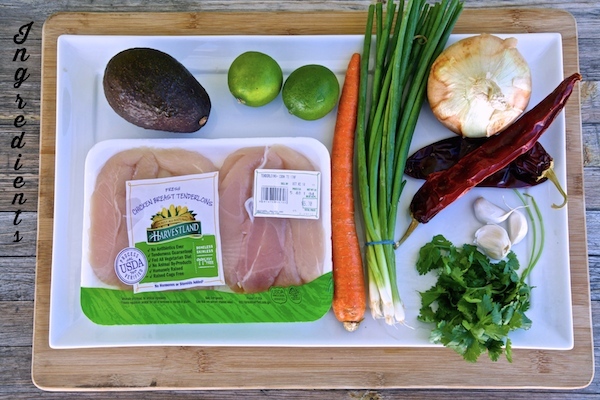 Ladle soup into bowl, then top with green onion, a squeeze of fresh lime, avocado, cilantro, and salt and pepper. Let’s elevate the tailgate experience at your place. Nothing like watching college football from home, while enjoying all your favorite treats. In honor of the season I created a lovely drink that has become the number one request in my house. 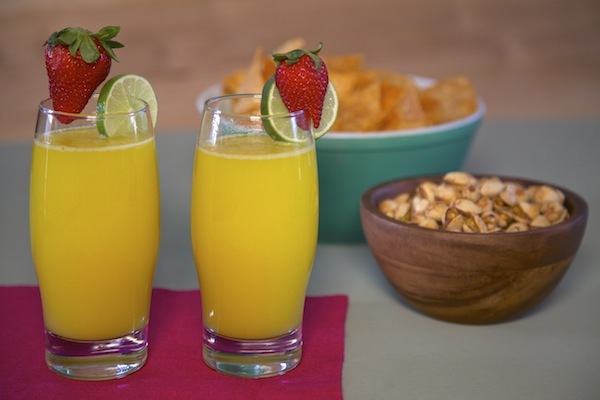 This mango lime refresher brings a tropical freshness to the tailgating experience. Offering a cool balance between bites, and quenching your thirst at the same time. Give it a try, my guess is you will love it as much as my family does. Then hop over to the awesome “Tailgate At Your Place” site , the digital destination that will help you throw the “ultimate” home tailgate party. 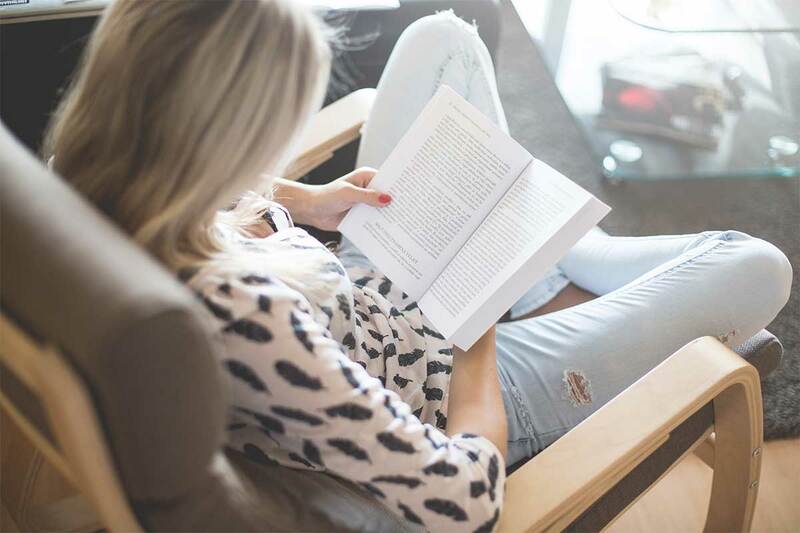 It is such a wealth of tailgating party info, you’ll be able to find college football trivia, party tips, and other recipes. Throwing parties has never been so easy. Here’s the bonus part, when you interact with the site, you have a chance to win one of hundreds of prizes! Isn’t that cool? Make this drink! Go to the site and be ready to enjoy the football season! 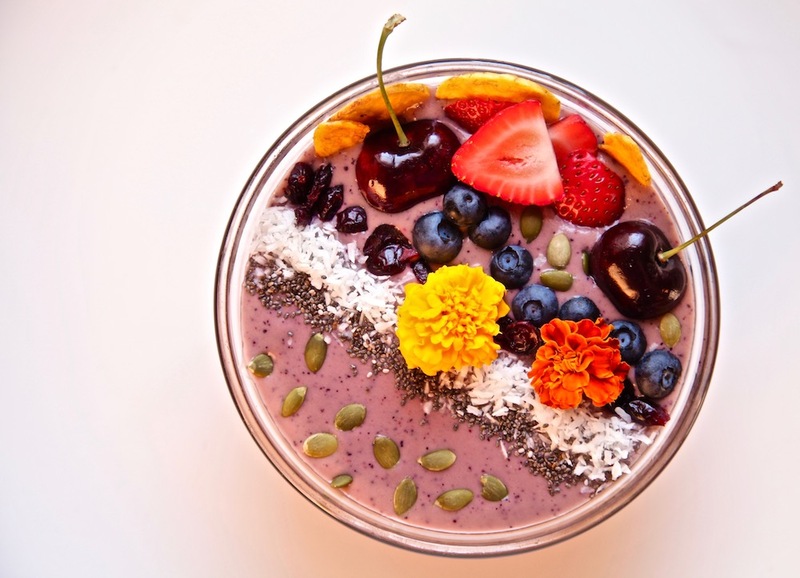 Add mango pieces, lime, lime peeling, sugar, and 2 cups water to a blender. Strain mixture through a sieve. Allowing all liquid to pass through. Discard pulp. 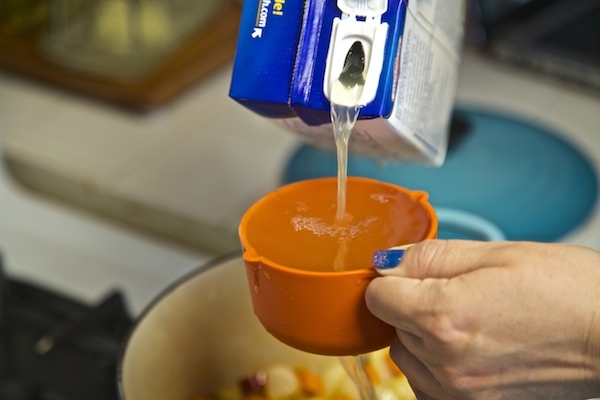 Add mango/lime liquid to a pitcher, then add remaining 7 cups of water to pitcher and mix to combine. Place pitcher in the fridge for a minimum of and hour and a half to chill. 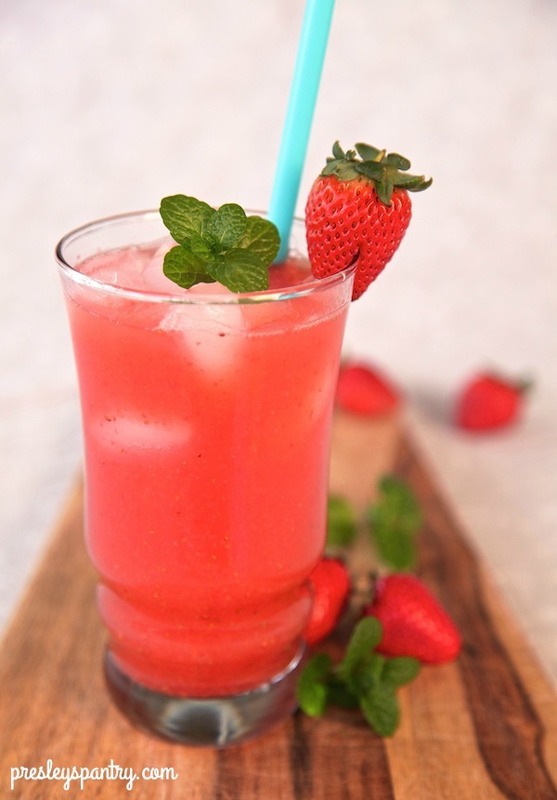 Serve cold and garnish glass with a strawberry. Disclosure: This post is sponsored by the spicy Tabasco family. I am proud to be a Tabasco Tastemaker. Opinions and recipe are my own. There have been many partners in crime throughout time. I think of the great ones like chocolate chips and cookies, or Bonnie and Clyde, or bacon wrapped hot dogs, or Tom and Jerry, and find it important not to over look the precious pair known as “Sangrita Completo.” For those of you that are not familiar with sangrita, it is a beautiful spicy tart slightly sweet chaser/accompaniment served with a shot of tequila, when you serve the two together they are called “completo.” You have the option of either sipping them side by side or going for the gusto and shooting the hard stuff back first, then following it with a delicious sangrita. In celebration of National Tequila Day (July 24th), I decided to prepare a batch of Tequila’s best friend Sangrita. Since it is a special day I added the smokey kick of Tabasco’s Chipotle Hot Sauce to the sangrita, and rimmed the shot glass with Tabasco’s spicy salt. These two additions made for the most wonderful flavor, and really made the pair COMPLETO! I hope you enjoy this gorgeous sangrita this National Tequila Day or make it any time your tequila needs a friend. 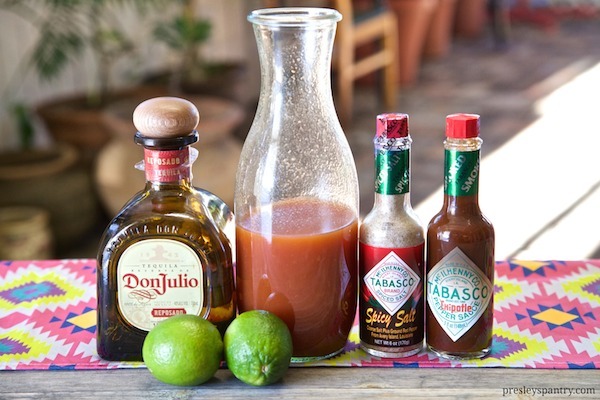 In a pitcher or carafe combine vegetable juice, clamato, lime juice, tangerine juice, and Tabasco Chipotle Hot Sauce. Stir to combine. Place sangrita in the fridge to chill. With a lime wedge, rub it along side the rim of the shot glass. 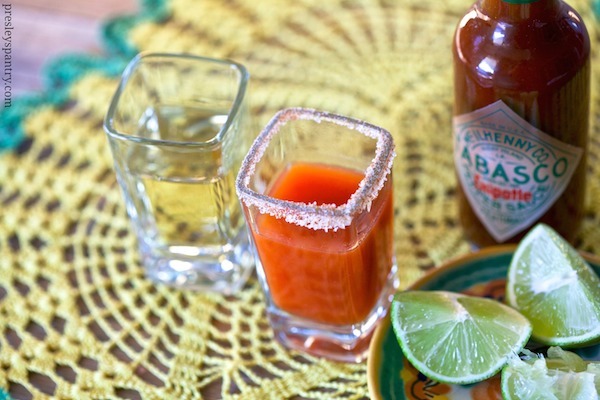 Place Tabasco spicy salt in a shallow bowl, then dip the rim of the shot glass into the salt. 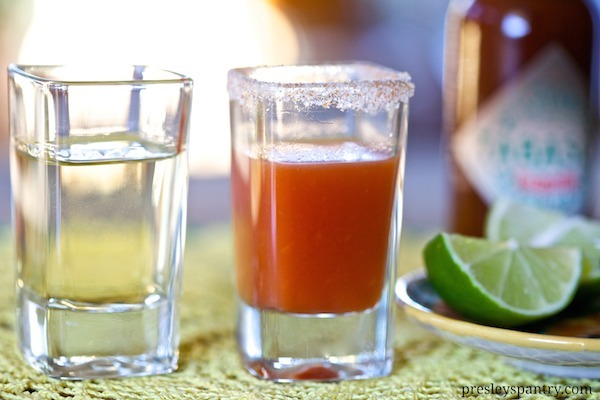 Fill the salt rimmed shot glass with sangrita. Fill a different shot glass with tequila. Serve both shot glasses side by side for a completo pair.